They say a 100% plant-based diet and strenous physical activities can’t mix. That when you’re a vegetarian or vegan, you’re lethargic and weak. Well, TessDrive.com has decided to put that common perception to the test. 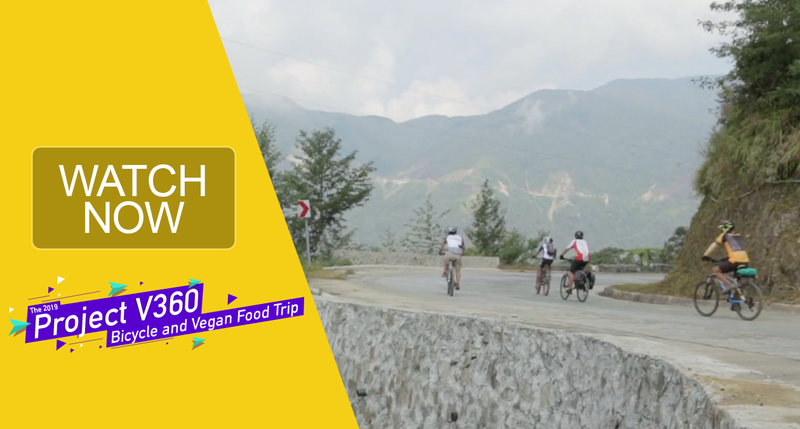 Over the course of the next 5 days, our willing group of 10 non-vegan cyclists will pedal some of the most challenging mountain passes in the main island of Luzon. Their sustenance will consist of a 100% plant-based diet prepared by our master Chef Edil Villamor and his hardworking staff at Greenery Kitchen. Can our cyclists perform the same way as they did when they were eating meat? Follow our journey, starting now. This 5-part video chronicles the experiences of our cycling participants and the support crew. Watch their stories in the next videos to see how it really felt like to bike this hard, and go vegan at the same time. Isn’t that crazy, or what?